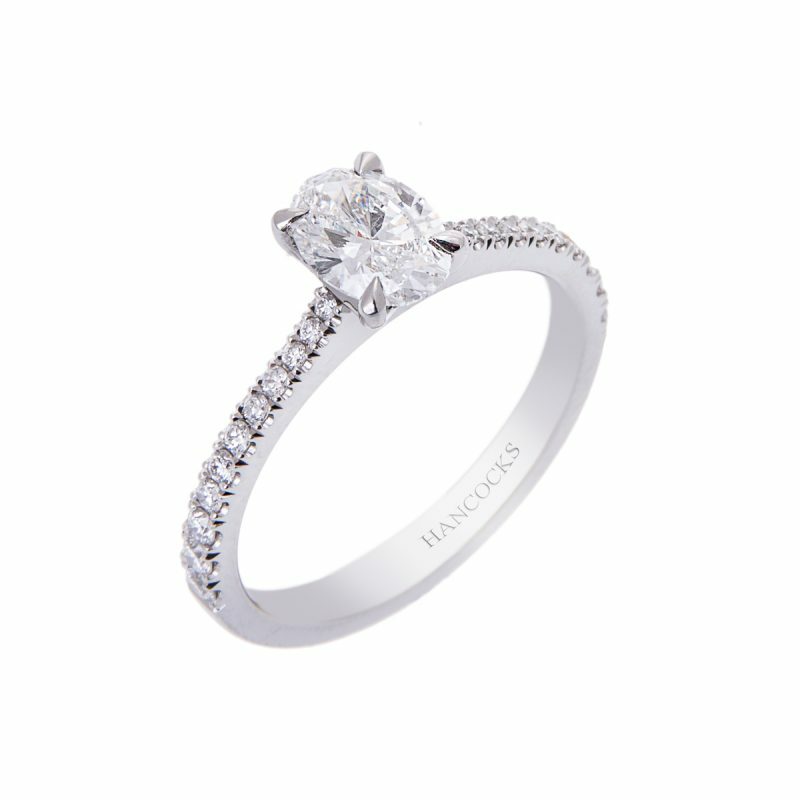 A certificated cushion cut diamond of rare white colour mounted as a single stone ring in a handmade platinum claw setting. 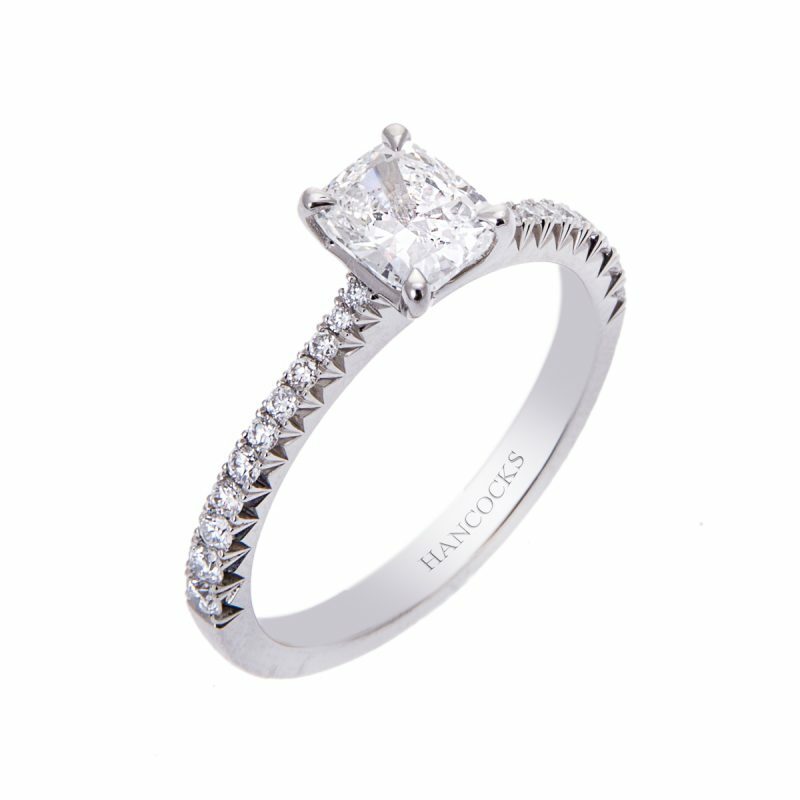 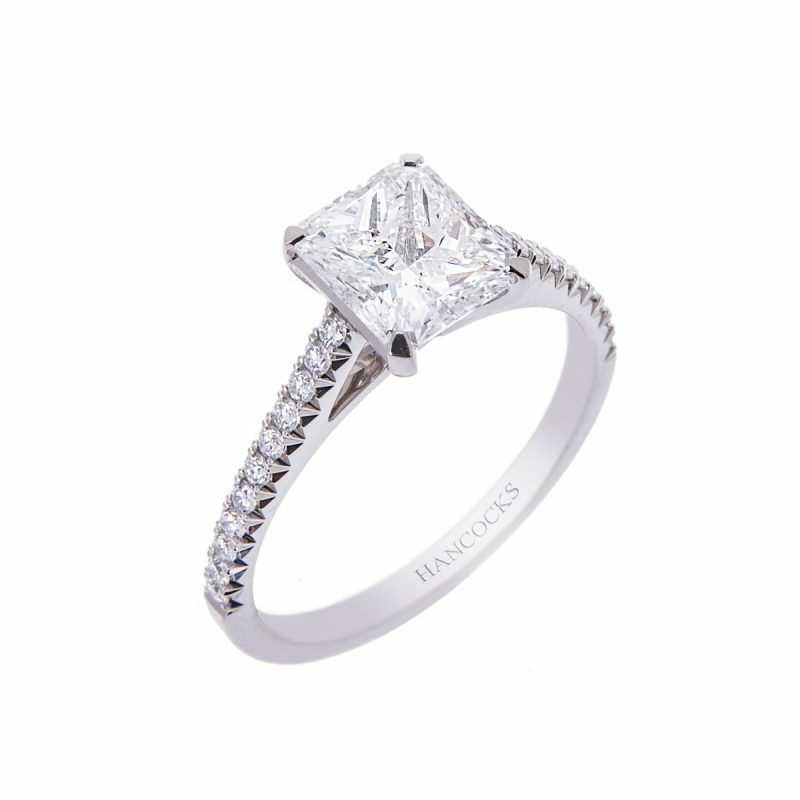 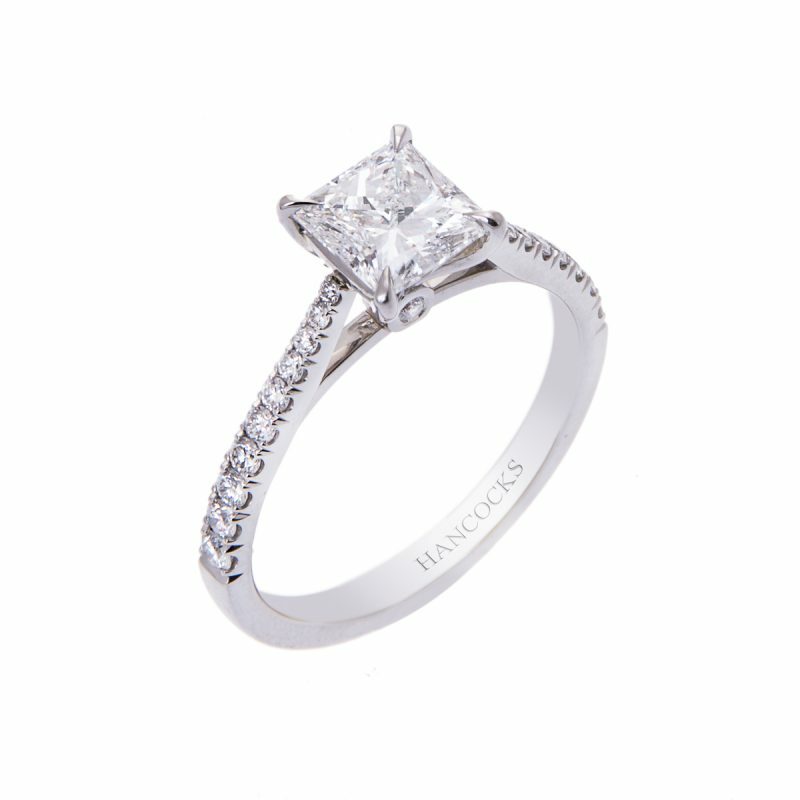 The sweeping under bezels of the engagement ring will allow any wedding band to sit flush. 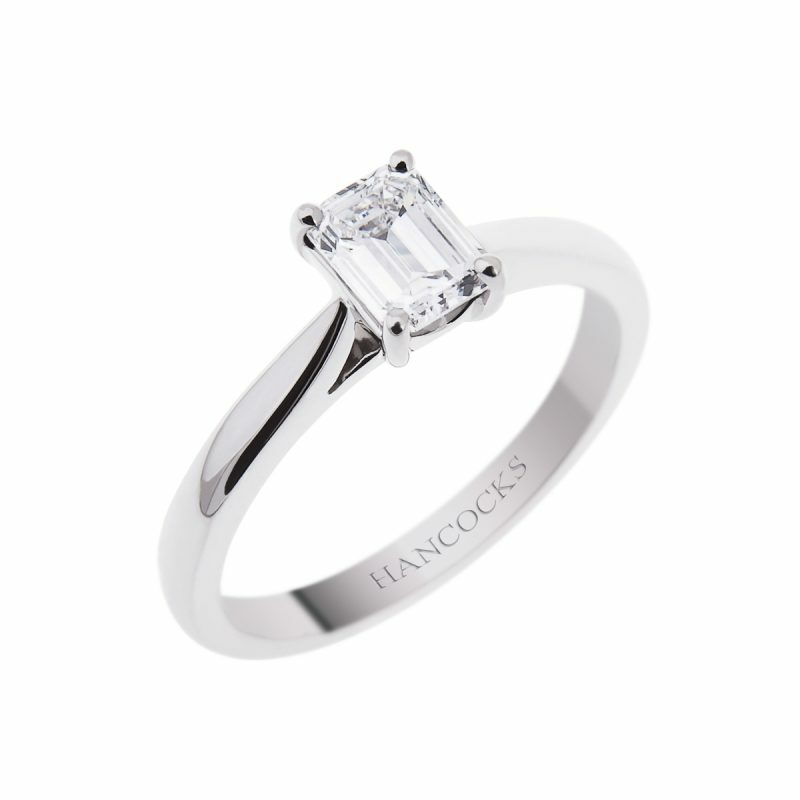 More unusual than a round stone but equal in beauty and sparkle, this 0.75ct cushion cut diamond nestles between a tapered brilliant cut diamond set shank totalling 0.22ct, creating a spectacular ring that will always give great pleasure to the wearer.